They wouldn't have sold enough to make it worth the investment to make them. 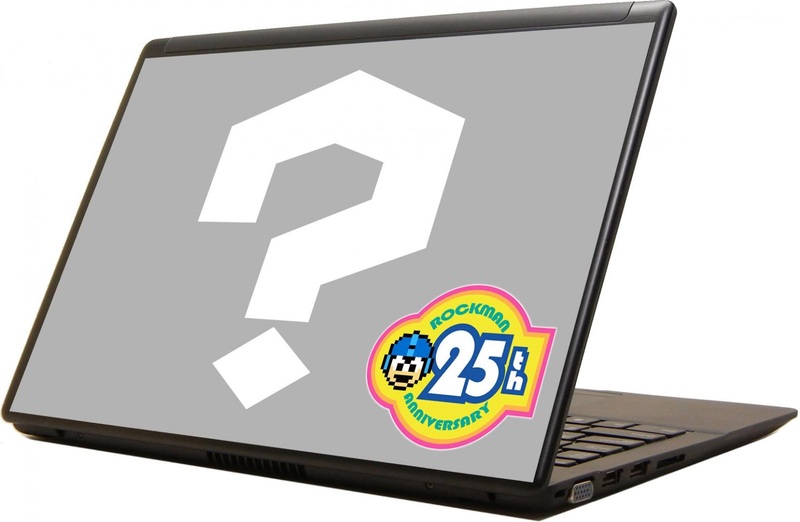 This didn't seem like a great idea anyway, not every fan can afford to buy a notebook just because Mega man is built into it. That's funny TMMN closes to fix the site going down all the time, only to open with the site going down. Hey Protodude? Have I not told you how much I appreciate what you do lately? Well I really appreciate what you do. TMMN isn't down. It's still moving to the new host, so it might work for others but not you right now. Rule of thumb: The more the public wants it, the less likely it is to happen. Unlike DeviantArt, Pixiv doesn't seem to give a damn about it. The only fanart its getting is coming from Westerners. *siiiigh* Even the merch's getting cancelled now. Who knows; maybe Capcom'll try again after they're in a better financial situation? Well, Capcom just posted their financial results for the year a few days ago, and while it's the smallest profit they've made since 2005, it's still a profit. They're sitting on $150m in cash. They're not exactly in financial dire straits here. 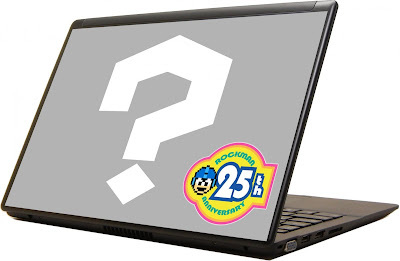 "So, Mega Man, what are you going to get for your 25th anniversary?" Solution? Get a custom MM skin from Skinit.com. My guess was it was just going to be 8bitclassic mm on the cover anyway. And there is only 3-4 months left to prove that they actually give a sh*t to the franchise and its anniversary. Wow. Some twenty-fifth anniversary this is turning out to be, huh? Not that I care in the least about all this worthless merchandise they've been churning out left and right, but still. I'd bet the board game is next in line to be cancelled. Specially since they needed a Kickstarter for it they were planning this month and if they even tried that now they'd be met with a lot of derision in the wake of MN9 being a kickstarter for an actual video game. Welp, I'm not surprised. Not in the slightest. Meh... this is not that much of a big loss. Who would be able to afford this thing, anyways? It would cost an arm and a leg just to import it. Still, it's kind of frustrating to see the word cancelled. I guess I should get used to seeing it a lot more. No you don't soon there will be nothing LEFT to cancel! Is there a pattern with these cancellation intentionally coinciding with press events? Or is it just that there's so many events now; I'm confusing them? Couldn't help but laugh seeing this. Sigh... looks like cancellations and Xover are all in store for MM's fate. Though come to think of it, I haven't seen any Xover news lately in awhile either.